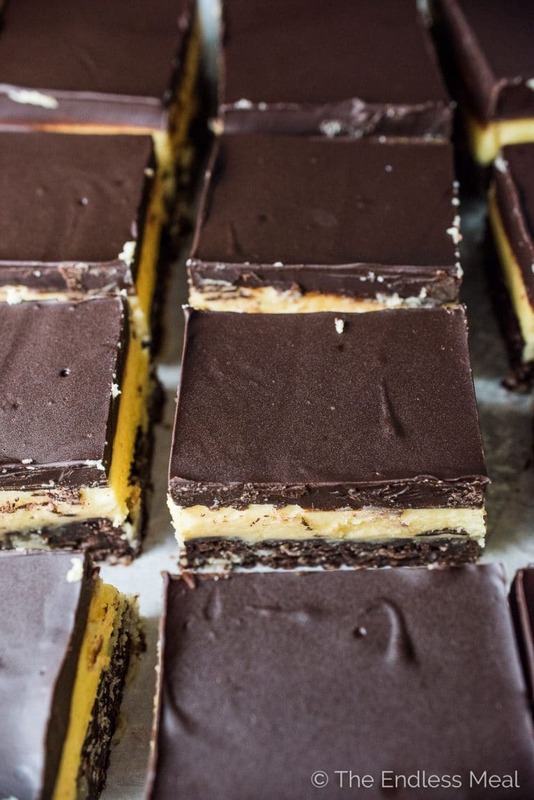 Nanaimo Bars are a classic Canadian Christmas dessert. The holidays wouldn't be the same without them. This is my mom's recipe and it is less sweet than most. That's a good thing! They are made with a chocolate graham cracker, coconut, and walnut crust then topped with a layer of buttery custard and chocolate. They're amazing! It's Christmas baking season! Christmas cookies! Christmas bars! Christmas sweet everything! And yes, I did just use four exclamation marks in a row. In case you didn't notice, I'm a bit excited. 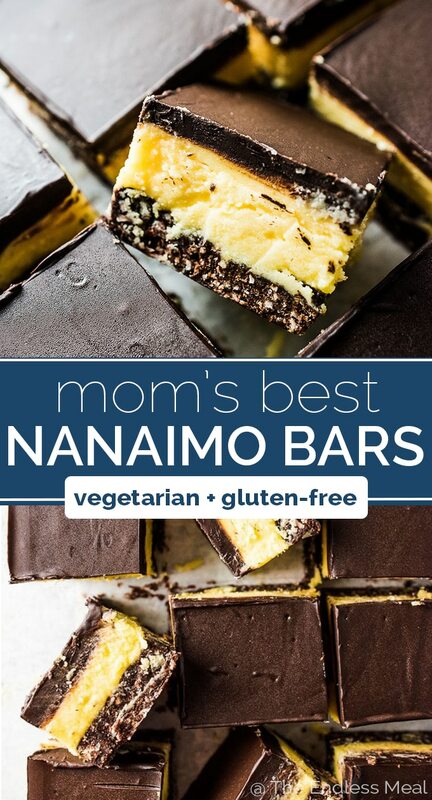 The first time I shared my mom's Nanaimo bar recipe with you was back in December 2011, a few months after I started this blog. It was my favorite Christmas baking recipe then, and six years later, it's still my fav. I'm bringing these babies back for Throw Back Thursday (the 28th #tbt post!) 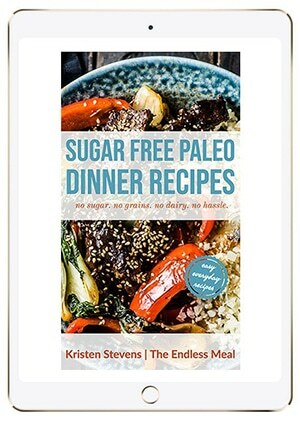 partly because I really want you to make them (you won't regret it!) and partly because it gave me an excuse to make a couple of batches. ← Truth! This classic Canadian treat made by smothering a graham cracker, coconut, and walnut crust with lightly sweet and buttery custard and topping that with chocolate. If you haven't made my mom's recipe before, can you promise me you will this year? You will love it! The first step is making the base. You'll want to melt some butter and whisk some cocoa powder, sugar, and an egg into that. (The heat from the melted butter cooks the egg.) Then you'll stir in some graham crackers crumbs, coconut, and walnuts until you have a thick batter. That batter gets pushed into a baking pan to form the crust. The next step is making the middle custard layer. If you can put things into a bowl and mix them together using electric beaters (or a stand mixer, if you're one of the lucky devils who has one), then you can make this. You want to make sure the butter is nice and soft, which can be a little challenging if your house is winter chilly. I like to cut the butter into cubes and put it in the bowl I'll use to make the custard. Then I put that bowl into my oven with the oven light on (don't turn on the oven!) and let the butter stay there a while. The heat from the oven light will soften the butter without melting it. If you don't have a cold house, you can leave the butter on your counter. 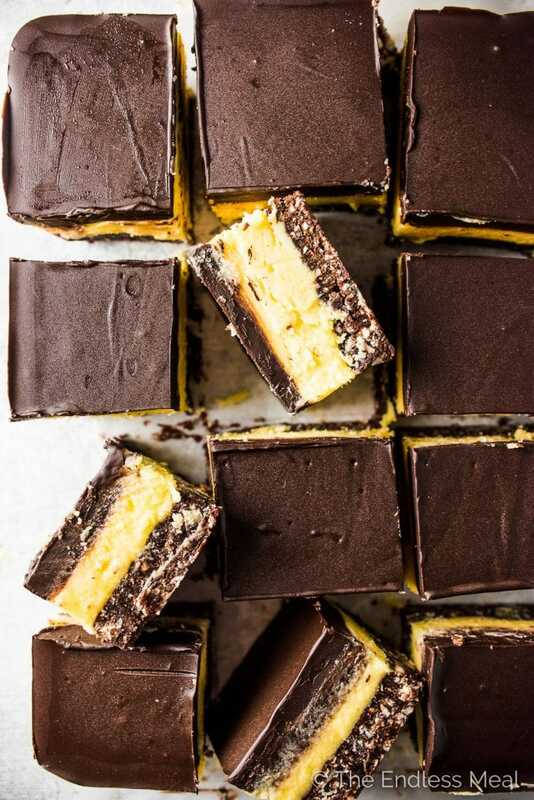 My mom always used Bird's Custard Powder in her Nanaimo bars, and I've done the same. It's that stuff in the red, yellow, and blue box tin that looks like the branding hasn't changed since 1952. The ingredients are simply: cornstarch, salt, color (annatto, a natural color), and flavor (vanilla). If you can't find it, you could substitute corn starch, a tiny pinch of salt, and some vanilla. But for ‘authentic' Nanaimo bars, do see if you can find it. The final step is the chocolate. I got in the habit of buying dark Callebaut chocolate in bulk when I had my supper club, so that's what I use. My mom always used Bittersweet Baker's Chocolate. You can use chocolate chips in a pinch, but they will make the chocolate a lot sweeter. 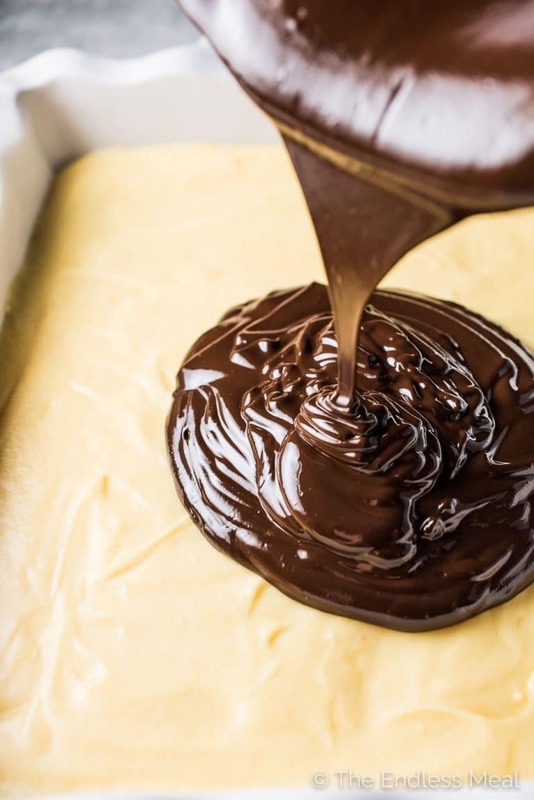 You'll want to melt the chocolate with some butter in a pot over low heat. Don't rush this step; funny things happen to chocolate that melts at too high a temperature. Put the chocolate on right after you put the custard in the fridge to set, that way you won't feel rushed. Put the chocolate and butter in a pot and turn on the element to the lowest heat. Then walk away for a while. Trust me on this one. When the chocolate has melted and the custard is firm, you can pour the chocolate on top. Smooth the top with a spatula and then tap the pan on your counter a few times. Gently! This will help to level the chocolate so you have a smooth top. 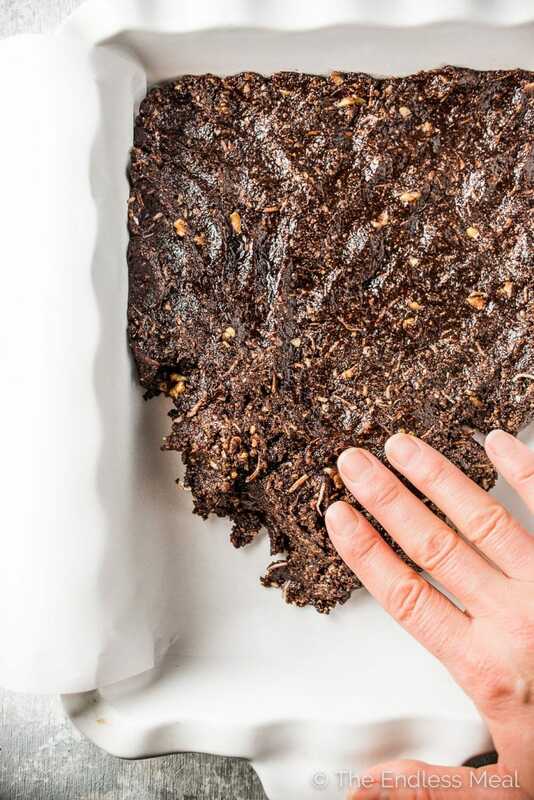 Wait until the chocolate is soft set then cut your Nanaimo bars. 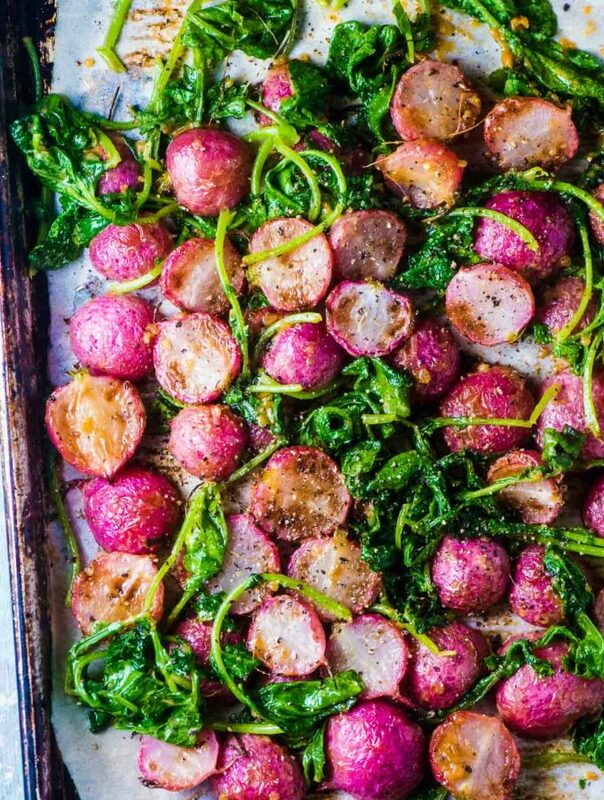 Either dig in right away or let the bars set completely in your fridge. My vote is you sneak at least one before putting the rest back in the fridge. When I was 16, my then boyfriend and I ate a whole container of Nanaimo bars that my mother had made ahead and frozen for Christmas. I won't admit to what we were smoking before we felt like munching on so many sweets. In an effort to hide the evidence, I dug up her handwritten recipe. The filling in the middle called for a custard. This was before the days where a quick Google search could have answered any of the questions I could not ask the person I was trying to pull a fast one on. Questions like, “what's custard, anyway?” I searched the pantry and came up with a solution that was runny and pudding-like. Then I did what any teenager worth their weight would do: I assembled the misshapen, soggy bars and quickly put them in the freezer, delaying any possible punishment. Ten years after that incident (or 8 years or maybe 12 years, I struggle with linear time) my mother passed on the recipe, this time with a chuckle and some advice about the custard in the middle of Nanaimo bars. Melt the butter in a medium-sized pot over medium heat. Whisk in the cocoa powder and sugar. Remove the pot from the heat then add the egg and whisk until it had thickened, about 30 seconds. Stir in the Graham cracker crumbs, coconut, and walnuts. Press the crust firmly into the prepared pan. Add all the middle layer ingredients to a large bowl and cream them together using electric beaters. Pour the custard over the first layer and smooth the top. Place the pan in your fridge for at least 20 minutes, or until the custard is firm. Add the chocolate and butter to a medium-sized pan over low heat and let both melt. Whisk to combine then pour the chocolate over the custard. Smooth the top first with a spatula then by gently tapping the pan on your counter. Store the bars in a covered container in your fridge for a week or up to three months in your freezer. The bars can be eaten cold or at room temperature – they take only about 10 minutes to warm once out of the fridge. My 11 year old son and I made these last night for an International food taste for school. He is so proud of himself for how great they turned out. They are definitely sweet, but so good. Thank you for the recipe. That makes me so happy to hear! I love hearing about kids in the kitchen. It’s so awesome! 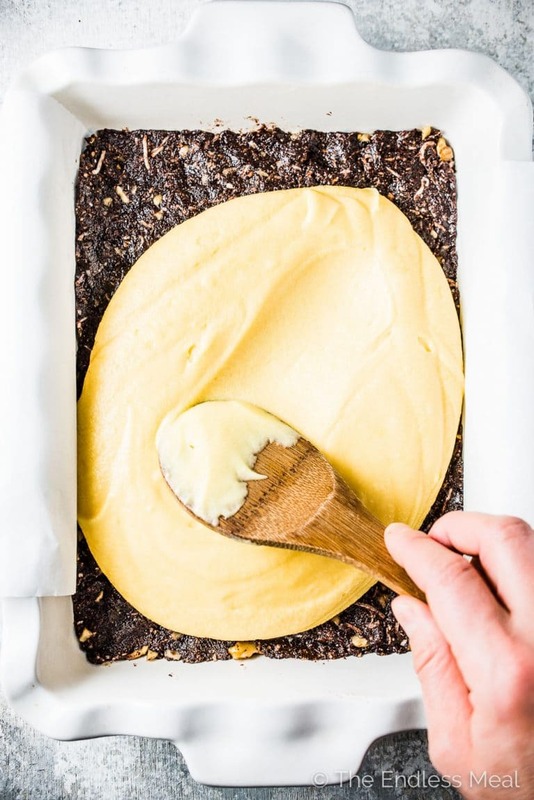 Can’t wait to try your Nanaimo bar recipe. Never heard of them b4 I started to follow & write to quite a few Canadian bakers on IG. Your recipe calls for all the ingredients that @cakedbykatie mentioned to me. I just got the Birds custard recently & plan to get the coconut tomorrow! I’m also an RN ( Ortho/Neuro tele ). Didyou attend a chef school or self taught? Great Recipe!! I’m excited to share these at our “Passport around the world” night at our local school. I’m a Canadian living in Ga. I did a trial run and shared them with some neighbors who LOVED them. Thanks for posting!! When in British Columbia last year with friends, we purchased Nanaimo Bars from a bakery and they were delicious. My friend sent me the recipe when we got home which I tried.and the top was a mess. I looked on the internet and found your recipe. You gave wonderful instructions re how much time to allow for each step. I made them and they turned out great. Thank you so much!!! And, I ordered custard power from Amazon, no charge for shipping. I have a question about the custard powder. Custard powder recipes that I have seen call for it to be cooked. Since the filling in this recipe is basically a frosting, not sure why it is included. Should it have read instant custard powder. Using the measured ingredients for the chocolate topping, it came out quite thick and was not pourable. This is the custard powder that I use in the recipe. If the chocolate is heated too quickly it can thicken. Perhaps that is what happened? The custard does not go in with the chocolate. Perfect recipe! And easy to make. These taste just like the ones I ate growing up. I’m not sure why they loomed so large in my mind…. maybe the three layers were intimidating, but it was super easy and yummy. I’m so happy they were a hit!!! 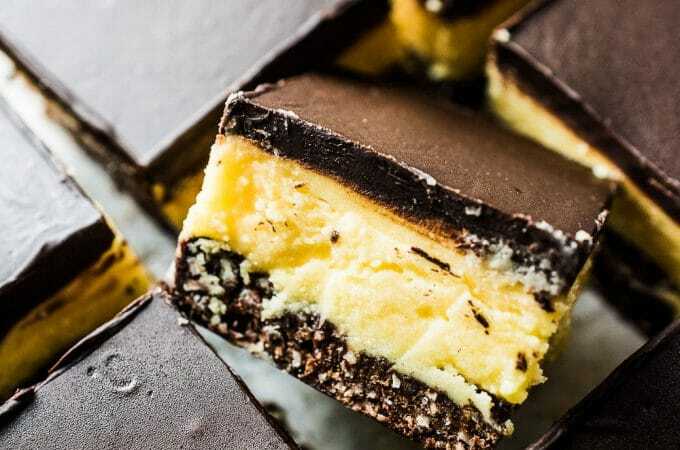 I just made your recipe for the first time, as Nanaimo bars were something I grew up with in Vancouver BC, but now that I live in Halifax NS, I haven’t seen them. My question is, I made the middle layer per your instructions, and double checked my measurements, but I found it quite a bit thicker than pictured. (there was no “pouring” it out of my kitchenaid’s bowl, I’d compare the consistency I had to what I would expect it to be once it’s “set” in the fridge. What can I do to get the proper consistency? I haven’t encountered that before but it sounds like you could simply add a little more milk. You definitely want the custard to be on the firmer side so it will set properly in the fridge! I wanted to ask about the final step, the directions say 8 oz of chocolate or 2 1/2 cups chocolate chips (which is a lot more than 8 oz, I think) … how much do you typically use? I’m making this for a coffee morning on Oct 15th & some of the people have a nut allergy. I’ve managed to find nut-free chocolate but I can’t find nut-free cocoa powder. Could I use some melted chocolate in the base instead? If not, what do you suggest? I am hosting a quilt bee tomorrow and thought I would make them a Canadian treat. I can already tell just by licking the spoons that they are going to be awesome! Thanks for the great recipe!! You are so welcome! I hope everyone loved them as much as I do! I made a batch of these for Memorial Day but am pretty sure I’ll have to make another. They’ll never last that long lol. I can see why you think these are the best! Hahah that’s so great! 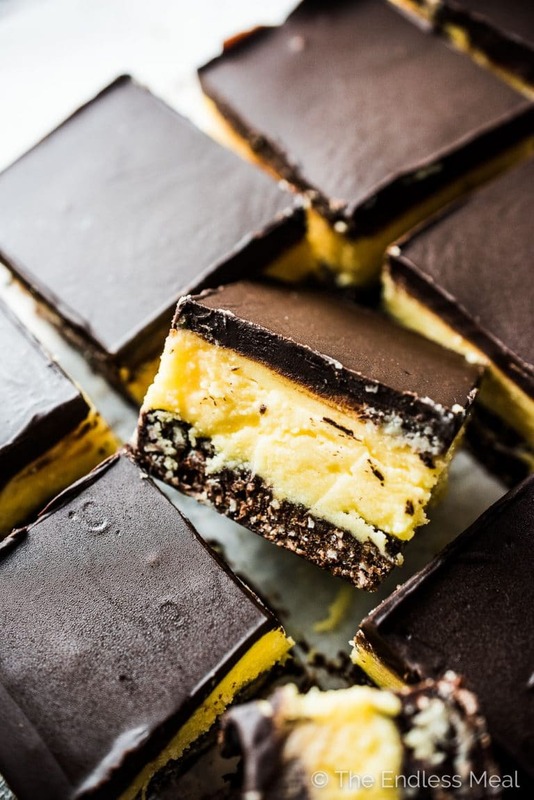 No such thing as too many Nanaimo Bars! My son has a nut allergy so I replaced the walnuts with chopped pumpkin seeds. Delicious! That’s such a great idea! Thank you for letting us know how they turned out with pumpkin seeds. If I ever need to replace the nuts I’ll know what to use instead! They really are my all-time fav!! Kristen, these photos are sooooo beautiful! I have to admit, I’ve never had nanaimo, but they look delicious! Thank you so much! They’re my fav treat this time of year. Totally worth indulging in! I love to make these every Christmas. My daughter, however, cannot eat chocolate so I was wondering if substituting butterscotch morsals for the top layer would work. What do you think? I’m so sorry I didn’t see your comment until now. I hope it is not too late! It would change it for sure, but I bet it would still be delicious! This recipe is similar to my grandmothers (90 yrs old), but her secret ingredient was adding chopped dates to the first three ingredients in the sauce pan. This simple addition kept the base moist and the taste of graham wafers was balanced. Thanks for sharing. I haven’t tried tinkering with the recipe, but I would think that if you reduced the icing sugar in the middle layer it should still work out great. I have added cornstarch for some icing sugar to make it less sweet. 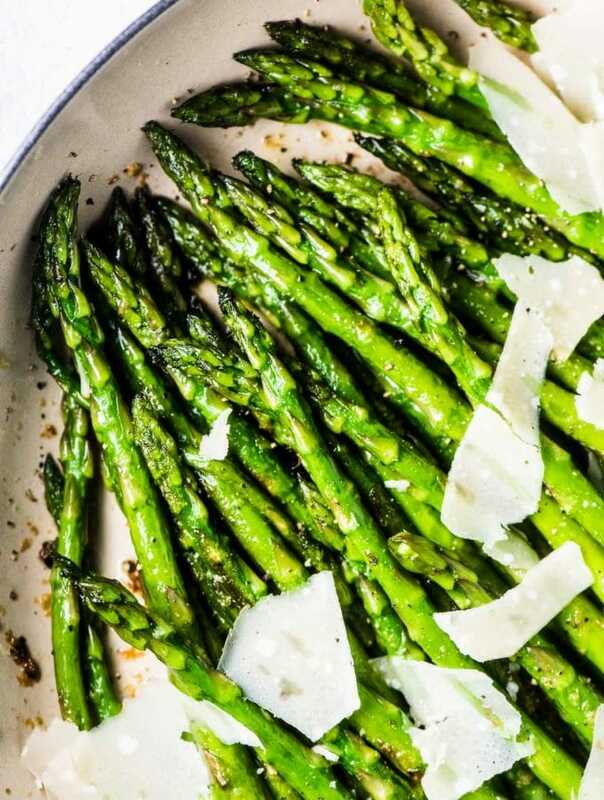 1/2 c – 3/4 c.
That is such a great idea to add chopped dates. I think I’ll try that next Christmas season for sure! This is my mother’s recipe! Hers were called Flanagans Fancies. I will only eat these as I find that the storebought Nanaimo’s are way too sweet for me. They are a Christmas tradition, however, I have to hide them from my sons as they will eat them all if they can find them! Wow, my mother and grandmother used to call these FLANAGAN’S FANCIES too! Any idea where this name came from? I always thought that the name of ours came from the lady who gave us the recipe. Her name was,of course, Mrs. Flanagan. My father taught the Flanagan children in Toronto. I love the name Flanagans Fancies! They’re still my favourite Christmas treat. Can’t imagine the holidays without them ? Are these the same as M&M Meat’s naniamo bars? I used to be able to get them when I lived in Buffalo, NY but now I live in Las Vegas with my husband and we clearly can’t just drive over the boarder to grab a box! I’ve never had naniamo bars from M&M Meats before. My hunch is that these would be similar, but better since homemade treats always taste better than store bought 🙂 Let me know if they taste the same as you remember! Custard powder is basically corn starch with a little flavouring added. You can buy it in the baking section of almost all grocery stores. The brand I use is Birds, but I’m sure all brands would work well. Here’s a link to Birds Custard Powder website so you can see what it looks like. If you make the naniamo bars, let me know what you think of them. They’re one of my favourites!